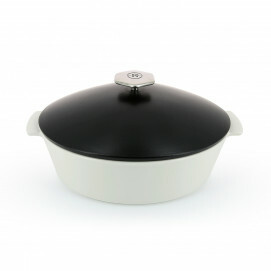 Revolution 2 is the new, improved version of Revolution Dutch ovens! 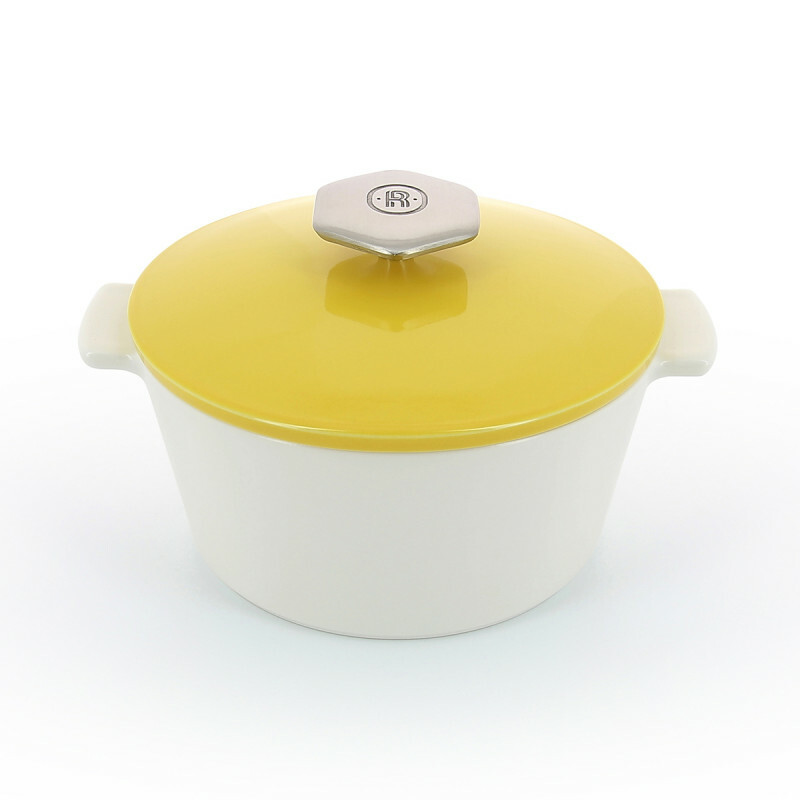 Revolutionary, this ceramic cookware performs as a Dutch oven, except it is lighter and made of natural ingredients. 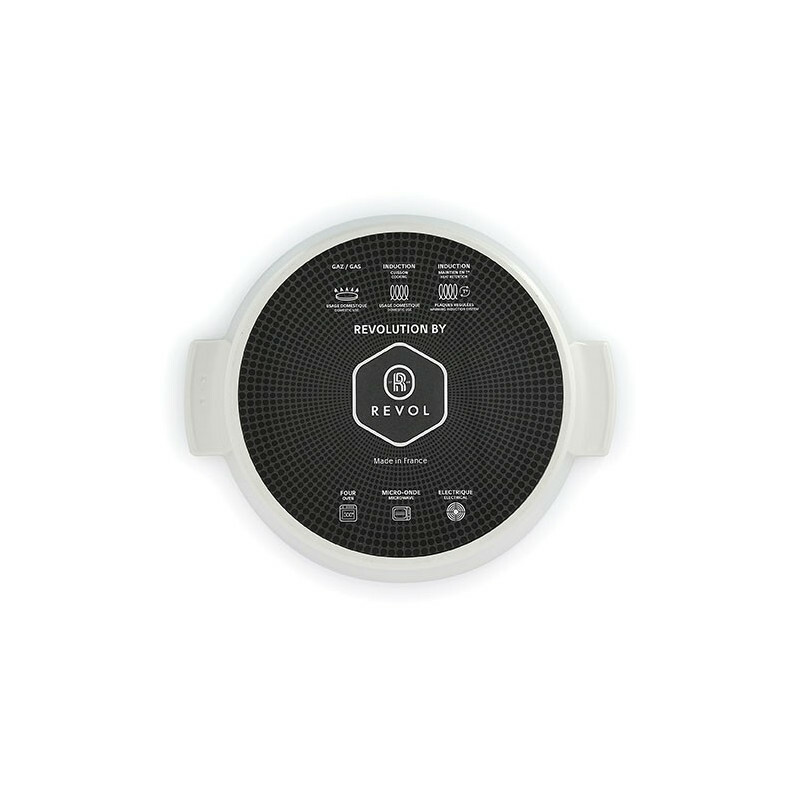 It is suitable for every heat source, including induction, stovetop, electric top, oven and microwave. Not only the dish is durable, resistant and naturally non-stick, but it is also the healthiest cooking pot you will find in the market. Ceramic is a natural material so it does not contain any heavy metals or toxins which make the dish 100% food friendly and ensures a healthy cooking. Revolution won't rust nor scratch and will remain impeccable even after an everyday use. 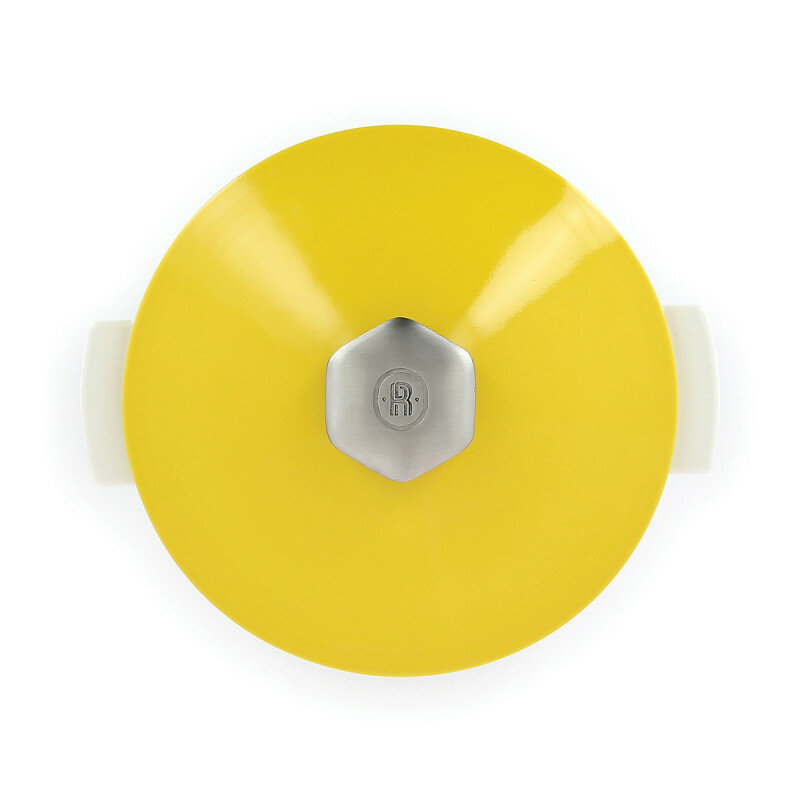 The base is off-white ceramic and it can be used separately as a cake mold. 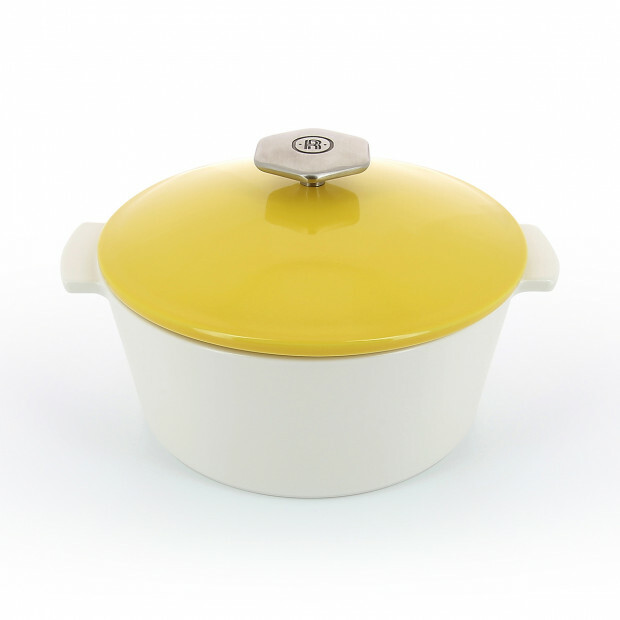 The lid is made of porcelain and has a beautiful yellow glaze. The knot is made of stainless still for a better grip and better resistance. 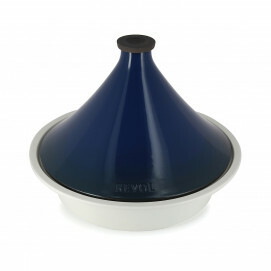 Inside the lid, dots were conceived to allow natural moisture of the food while cooking. 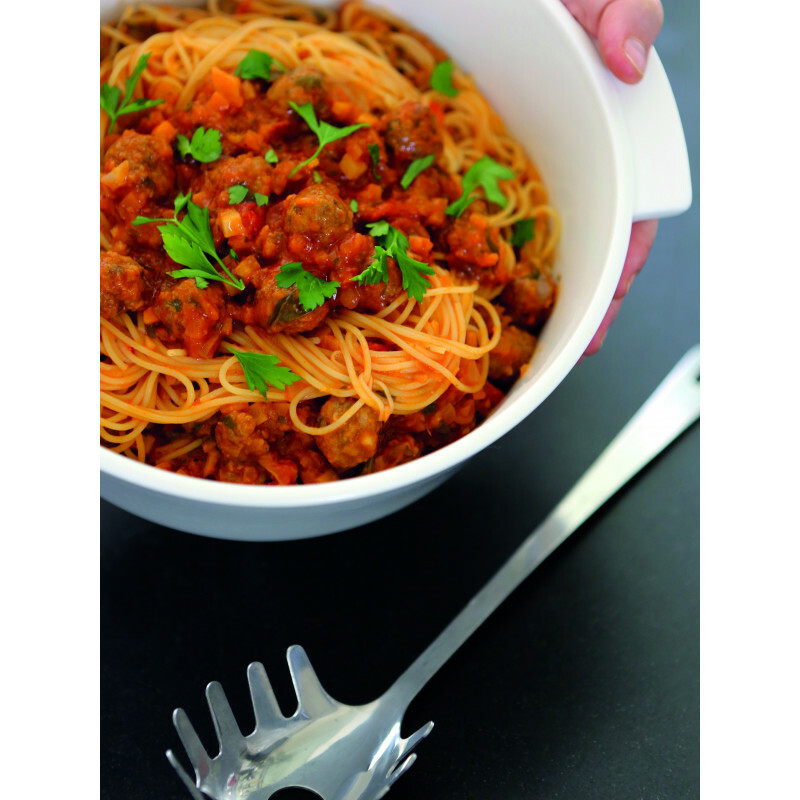 Enjoy the beautiful modern design, available in 3 sizes for an everyday use: to prepare, bake, simmer, cook and fry all your favorite dishes in one single pan. 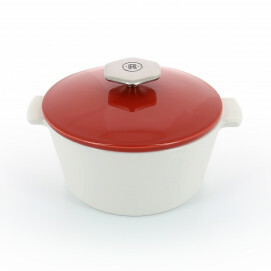 Thanks to its natural coating, the casserole is very easy to clean and it can also go in the dishwasher. 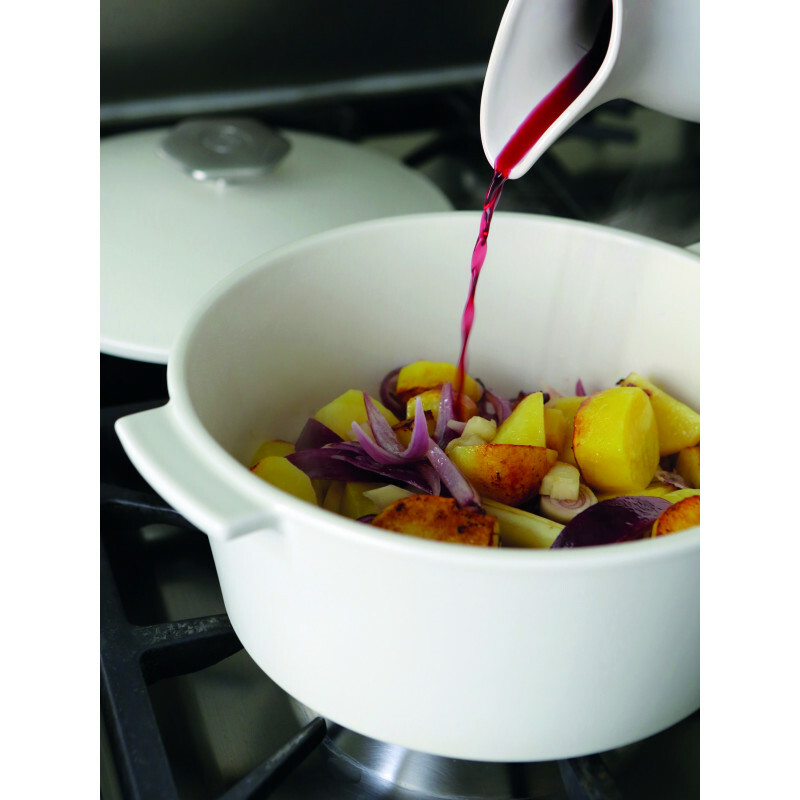 Revolution will bring modernity and elegance TO your kitchen and YOUR table when preparing and serving dishes. The first size, 1.75QT is perfect to serve 2 people; 2.75QT is good to serve 4 people, and 3.75QT is perfect for up to 8 people.